Dust mites are very small creatures that cannot be seen with the naked eyes. They measure 0.4 millimeters long and commonly feast on flakes of the human skin. Their poops contain a substance known as DerP1. This is a very potent allergen. Patients who have allergies may present with symptoms similar to asthma or eczema. Many of us think that replacing bed covers and pillows on a regular basis secures us from dust mites thriving in colonies. Those who have allergies to dust mites do need to take preventive measure. But how do we know if what we are doing is good enough for protection? This is where specific dust mite test kits become very important. Why Use Dust Mite Test Kits? In-home dust mite test kits, along with proper education, can help parents reduce allergen levels in their household. A research showed that parents may become a lot more motivated to join in allergen reduction interventions when they see promising results for themselves. Testing the presence of dust mites using kits is very easy and convenient. They are widely available online. You can get a result in as fast as 10 minutes or within 3-5 days. Testing With A Home Dust Mite Kit Is Easy! Purchase a dust mite test kit online or in a nearby pharmacy. Some tests may require you to collect samples and send them to a laboratory for results. 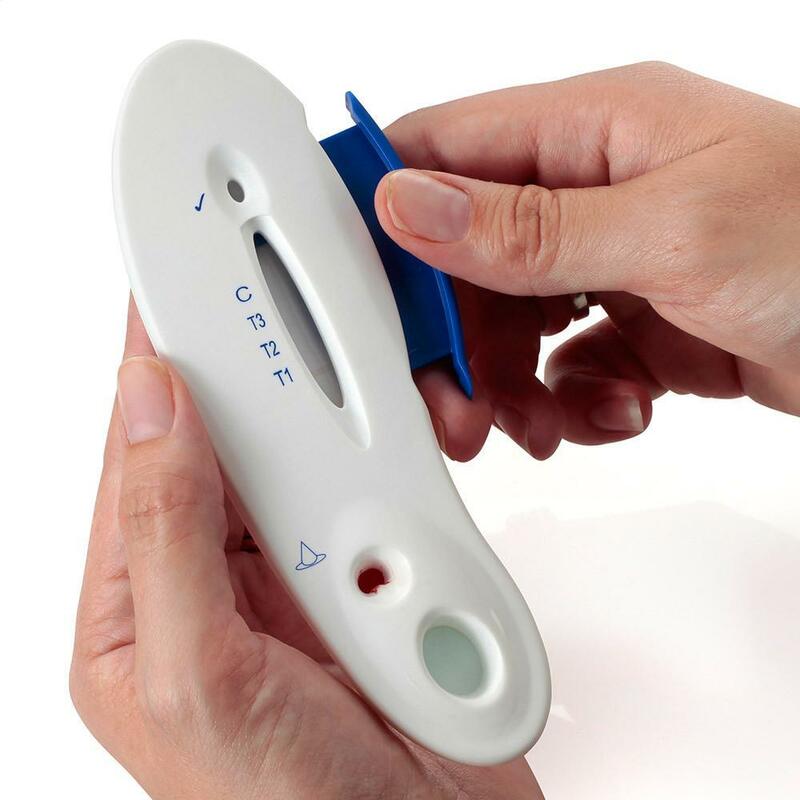 Others allow you to check a sample at home yourself by adding a solution on a test strip. There will be line indicators to represent the levels of allergens in your household. Dust mite test kits come with a dust collecting container, which should be attached to a vacuum hose. There’s a filter that will trap dust samples. Vacuum for at least 30 sections to get an adequate sample. Common areas to test includes beddings, carpets, curtains, shelves, stuffed toys, etc. After collecting samples, remove the vacuum but leave the filter inside the dust collector. You will test this with a solution. Seal the bottom of the dust collector using a cap, which is included in the kit, and then add the testing fluid. Shake the container and let it stand for approximately 4 minutes. Test strips have a C and T symbol under which lines will appear. C is control and T means test. If a line showed up on the T mark, the result is positive. Other kits will allow you to measure the level through colors. A light shade may indicate a low level while a dark shade may mean a high level. Are you aware that the air inside your home or office is generally 3-5 times more polluted than the outside environment? This can be caused by poor ventilation, use of toxic cleaners and fresheners, or buildup of dust mites. Know what’s happening inside your home and office, right under your nose. 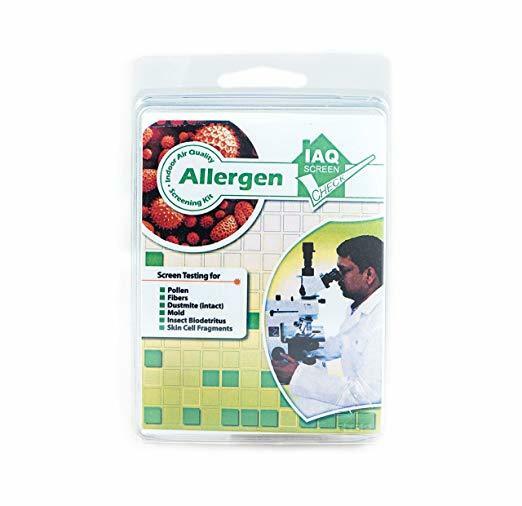 This fast and easy-to-do test strip is a very effective and affordable way to detect allergens like a dust mite. This kit includes a collection device and the sample has to be sent to a laboratory for testing. You can do it via a postage envelope. There’s nothing to worry about the mailing fee because it is already included in the package. Results will be emailed within 3-5 business days. This kit is used and recommended by professionals. 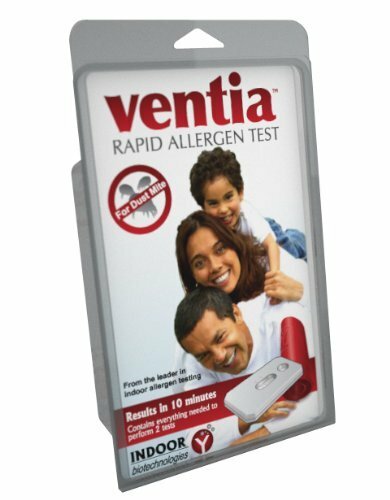 This home testing kit allows you to check the amount of dust mite allergen inside your home. You can’t see dust mites using your naked eyes, but this kit can tell you in a few minutes whether there is low, medium, or high level of infestation in your carpets and beddings, allowing you to take actions immediately. Instructions are very easy to follow. Reagents being used for the test are developed by experts using state-of-the-art facilities, thus you are assured of quality and accuracy. For one thing, wanting to know if there are dust mite allergens present in your home through the use of test kits and actively engaging in reducing them can help limit rising cases of allergies. Detect infestations early before they trigger your allergies and cause a serious attack. Use a quality dust mite test kit now!